We love to search our local hardware store for great crafting materials. You can always find great fittings, cords, hoops, pipes and tubes that are perfect for using to make jewelry, decorations and home decor pieces. 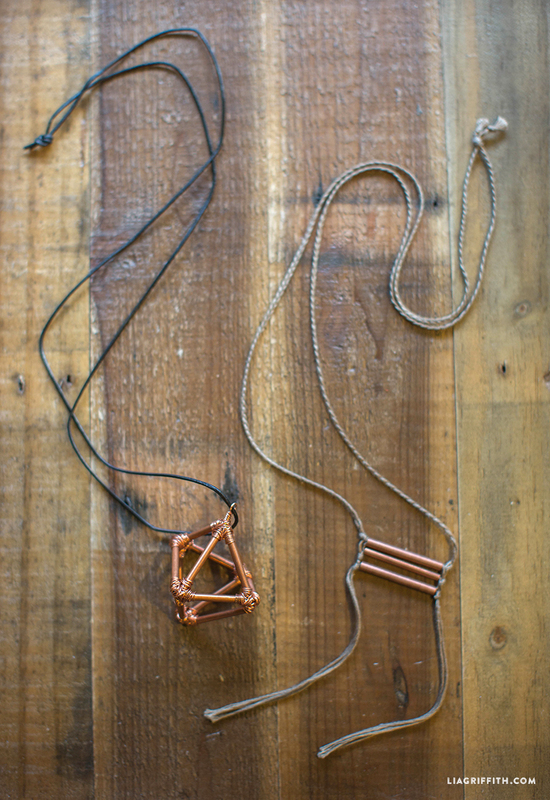 Our fave find at the hardware store recently is copper tubing. You can buy it in various lengths and diameters, which makes it a wonderfully versatile material to work with. 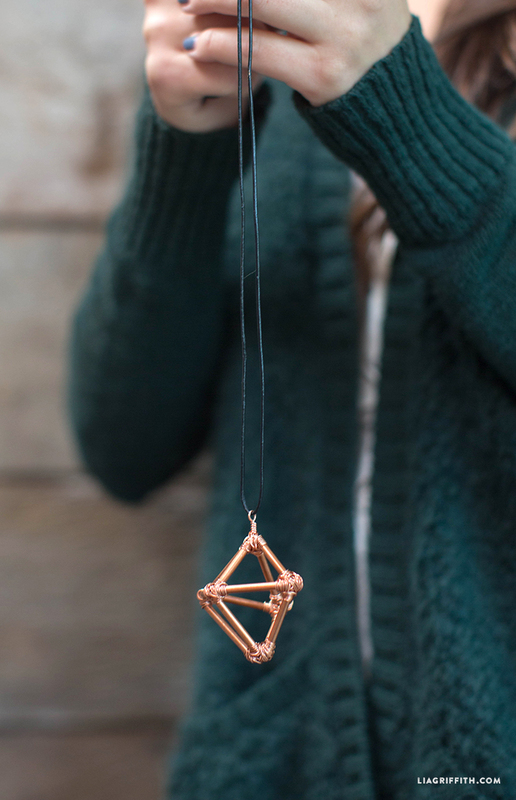 In the past we have used copper tubing to make these beautiful geometric plant hangers, but today we are using it make our own jewelry pieces. We love the slightly raw and rustic look to this thin, 2mm diameter copper tubing, and love how well it marries with the silky sheen of our embroidery threads. 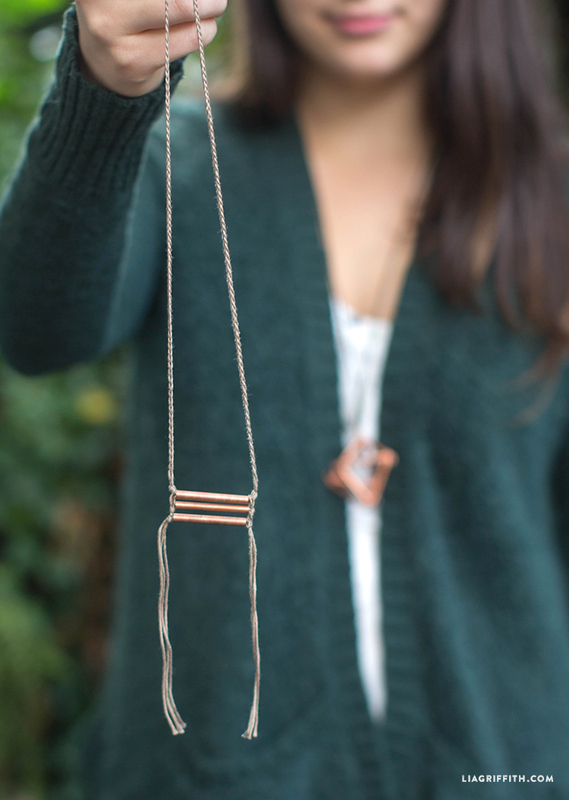 For the first DIY jewelry piece we braided three lengths of embroidery thread before weaving the ends through three 2″ lengths of copper tubing. We knotted the ends to keep the tubes in place, then left the ends long at either side for that little extra length. Our second piece was made in a similar way to our copper plant hangers. We cut our copper tubing into various lengths and threaded them together using a thin copper wire. 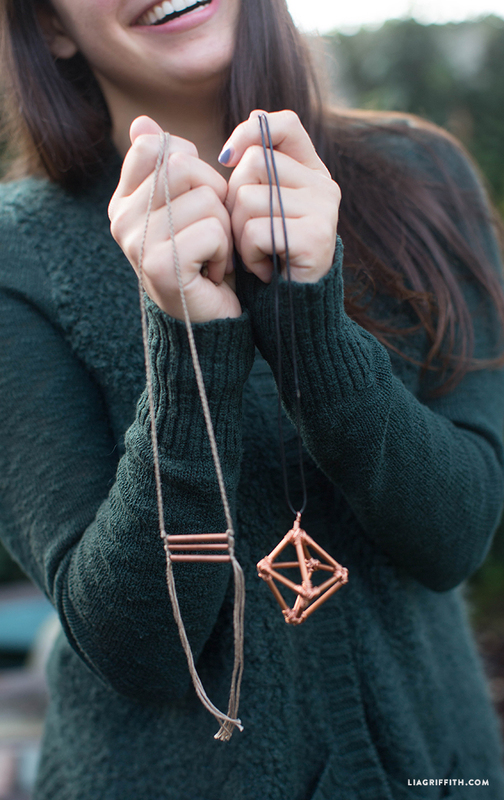 Once the pieces were all in place we wrapped copper wire around each joint to make it extra pretty!